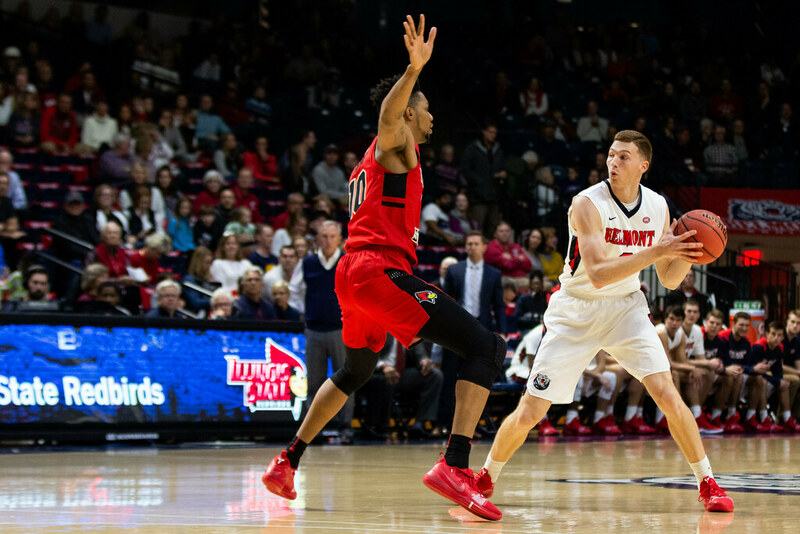 The Belmont men’s basketball team defeated the Illinois State Redbirds 100-89 in the Bruins’ season opener. Seniors Dylan Windler and Kevin McClain, who scored 20 points and 13 points respectively, led the Bruins on an 11-2 run to start the game. The most impressive display of the game came from redshirt freshmen Caleb Hollander, Grayson Murphy and Nick Muszynski. Murphy had a double-double with 13 points, 10 assists and eight rebounds. Hollander and Muszynski scored 21 points and 18 points respectively, which were ultimately the definitive factor in the Belmont win. The Bruins will return to the Curb Event Center to face Middle Tennessee State University on Monday at 7 p.m..